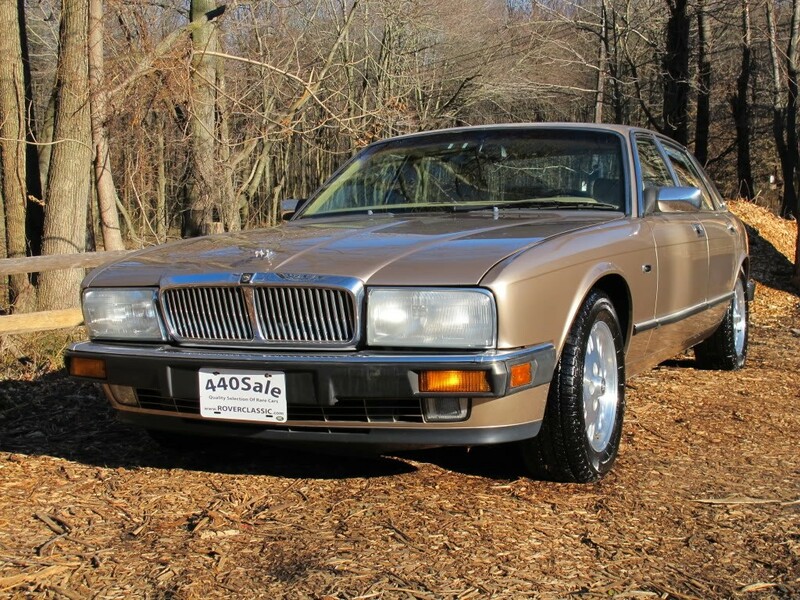 1994 JAGUAR XJ12 ... 88,841 Original Miles ONE OWNER CA CAR *** RUNS AND DRIVES 100%*** Engine : 12 Cyl, 6.0 L Transmission : Auto Vin : SAJMX1347RC689193 Exterior : Teal Interior : Tan Body Style : Sedan This Beautiful ONE OWNER JAGUAR comes to us from the dry state of California, it has every possible option available for 1994 model year. Handcrafted leather and wood trim set the stage for luxury and convenience in the XJ12. Seating is wonderful particularly for long journeys and a surprise awaits in the rear: fold-down walnut burl tray tables. Features include powered windows, locks and mirrors, highly visible analog instruments, a versatile trip computer, a great all-season climate control system, and a complete audio system that accommodates AM and FM radio plus cassette and a programmable six-disc trunk- mounted CD player.Heated front seats with adjustable lumbar support and memory. This XJ12 is equipped with dual front air bags and three-point seat belts, security system and four-wheel disc anti-lock braking. The XJ12 is equipped with a V-12 all-aluminum engine that produces a very competent and quick 301 horsepower. Engine is in Good Shape, does not smoke, does not leak, nice and quiet. Transmission feels Perfect, shifts without any problems, without delay, and without noise. Suspension is in Excellent shape, Car tracks nice and straight. There is No Evidence of any Electrical problems. This car comes with full set of books. The exterior is in Excellent shape for a 1994. ( !!! Check out the pictures !!! ). The paint is ORIGINAL and there is ABSOLUTELY NO RUST any where on the car. Leather Seats, Carpet Floor and Glass are all in Great shape ( !!! Check out the pictures !!! ) Interior of this car is Nice and Clean ( !!! Check out the pictures !!! ). This car has 4 matching Bridgestone Tires that are mounted on Perfect and straight rims. It will be sold with a clear title and it will be sold as-is, where-is.